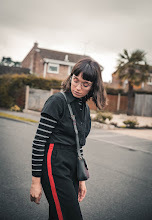 I thought I'd share with you some of the street style photos I took for my Uni assignment, down on day 4 of London Fashion Week. 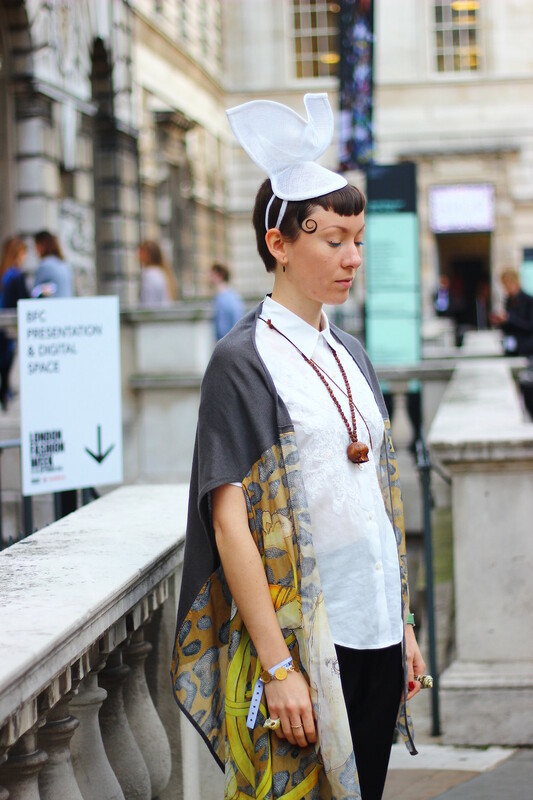 It was my first ever experience of LFW and it was one of those moments where I just soaked in the atmosphere of the place and just took it all in. 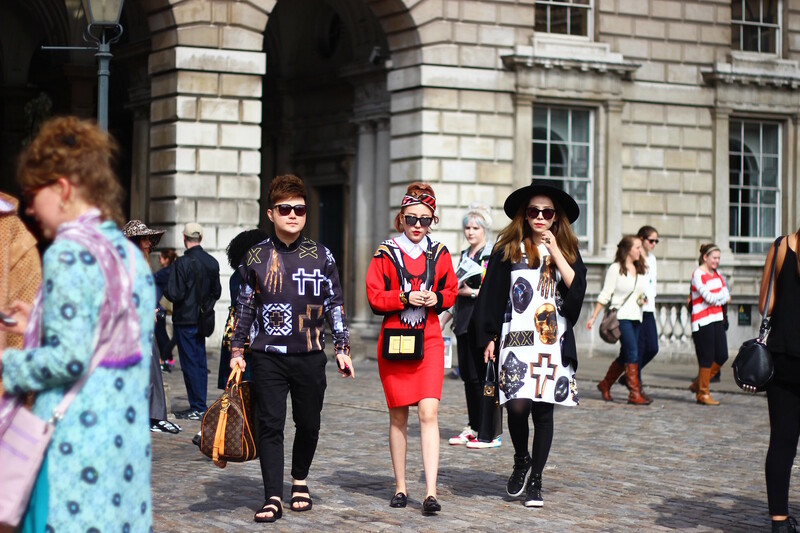 I constantly found myself drawing inspiration from a whole bunch of different outfits, that I saw around the Somerset House. In fact I went back for the final day, to take another load of photos, as one day just wasn't enough for me. I thoroughly enjoyed my experience and I'm definitely planning on going back in the spring, for a whole new season of street style. 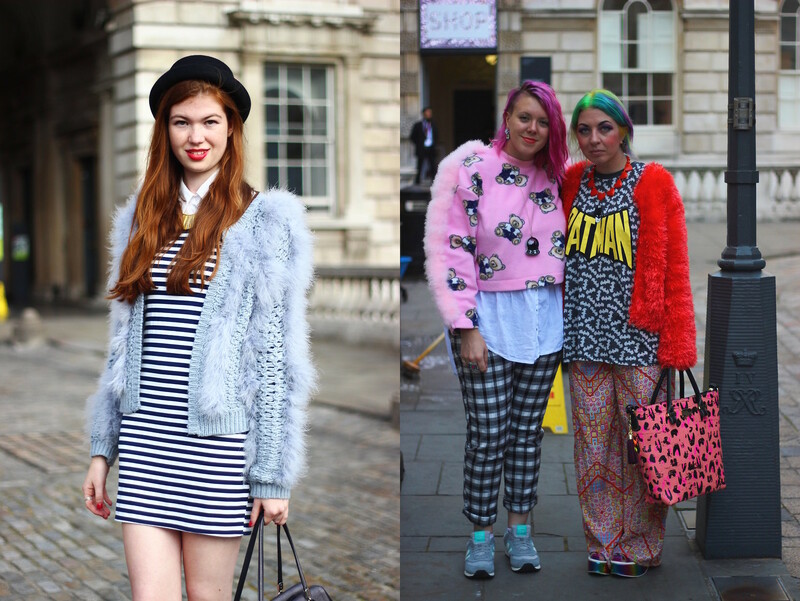 Be sure not to miss part two of my LFW Street Style series, up next week on the blog! some of these looks are so pretty !